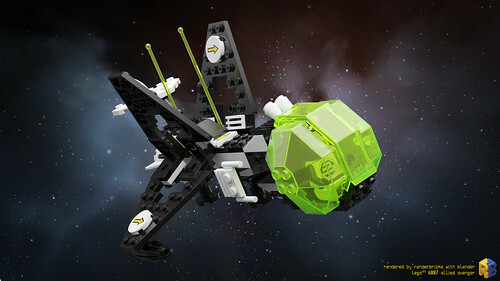 There are special #LEGO® fluorescent transparent materials. I spent some time to improve the actual #Mecabricks shader to a realistic result and passed it to Nicolas 'SCRUBS' Jarraud for his next update. This render of the LEGO® 6887 Allied Avenger shows the new and correct material.